I used to travel by trams in Kolkata during the fifties (‘Tram to Oblivion’, March 1-15, 2011). They were the pride of the city. The state is now witnessing the last days of the service. But there is still time. The government can revive trams and improve them. Some of the steps that can be taken are: develop a feasibility report for deciding the routes based on requirement and establish elevated tracks wherever required after due survey. The Metro is not only expensive, but also cannot fulfil the requirements of a developing city. The trams are based on old DC (direct current) traction system. These can be economically converted to the cost-effective AC (alternate current) traction system. The energy requirement of the tram system is a fraction of that required by buses. What’s more, it can run at a higher average speed. New and more modern trams can be built, not only for Kolkata but also other towns as cost-effective, short-gestation solution to the light-rail transit system. The solution is well known to policy makers, but unfortunately there is no political will. No-tilling is relatively easy when it comes to horticulture cro-ps (‘Organic v conservative’, April 1-15, 2011). It is being reinvented these days because of high labour costs. But applying no-till in grains is still a challenge. For such a technique there should be proper rotation of crops which many farmers do not do nowadays. No-till in grain also requires perfection in crop timings. This increases the fertility and water holding capacity of land. With enough research, no-till for grains can be successful. We run a health clinic for below-poverty-line (BPL) families in Andhra Pradesh (‘Unhealthy countryside’, April 16-30, 2011). About 40 per cent of the total patients we attend daily (numbering about 120) suffer from hypertension or diabetes or both. An initial series of tests cost about Rs 150 and since we use only generic drugs, the average cost of treatment can be as low as Rs 20 per month for a hypertension patient on two drugs. 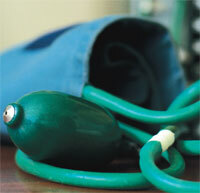 The cost increases to about Rs 100 per medicine if the patient has both hypertension and diabetes. It is a double whammy for patients, since they not only lose a day’s wage but also have to fork out money for medicines and tests. Dietary factors such as high salt intake (upto 25 gm/day against WHO recommended 5 gm/day), maternal malnutrition and stress contribute to the early development of these non-communicable diseases. It puts strain on the family and reduces earning capacity. Such issues need to be looked into by policy makers. The cost of hypertension treatment mentioned in the cover story is highly inflated. Medicines like Atenolol, Amlodipine and Losartan are not expensive. The majority of the people spend Rs 40 to Rs 100 per month on these medicines. Government hospitals in Karnataka provide them free of cost to poor patients. But complications arising due to negligence of the patients or some other reasons would require hospitalisation and tests that will burn a hole in the pockets of the patients. The cost of treatment given in the write-up has been provided by patients, doctors and government surveys. In most cases it also includes the cost of travel. Another factor that increases the cost of treatment is that private doctors tend to prescribe branded drugs despite the availability of cheaper generics. While it is correct that blood pressure medicines are given free of cost to patients, their availability is usually irregular. This refers to “The big idea for change: bamboo as grass” (April 16-30, 2011). Forests support people living around them. Himachal Pradesh’s forests are not home to bamboos but there are many other minor forest produce, edible and medicinal, which provide livelihood to the hill people. Prominent among them are: chilgoza (pinus gerardiana), banfasha (viola serpens), kachnar (Bauhinia variegata), kafal (Myrica nagi), kashmala (Beris lycium), harra (Terminalia chebula), wild figs (Ficus palmata) and kainth (Pyrus peshia). The forest department has to protect forests, but the effort should support the people living near the forests. Wielding the baton of authority mindlessly is certainly not good. People can be asked to plant saplings of trees. This can serve as a forest-friendly act. This refers to “If disaster strikes” (April 1-15, 2011). Almost all developed countries are reviewing their respective nuclear programmes following the tragedy in Japan. But it is ridiculous that India has not yet been able to decide on the issue, positively. Nuclear Power Corporation of India Limited (NPCIL) has reiterated that “safety is accorded highest priority”. But National Disaster Management Authority (NDMA) is not capable of detecting and monitoring nuclear radiological emergency because of inadequate technology and response centres. 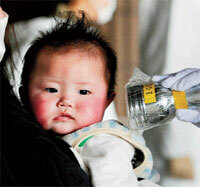 India is in a poor state of medical preparedness to minimise the deaths in case such a tragedy strikes the country. India has faced many catastrophes in the past but it was unable to handle the situation due to ill-conceived measures. The government should provide sufficient resources to NDMA to control and mitigate any disaster. India is a country of natural resources. There are so many ways of producing energy from sources other than nuclear, like hydel, thermal and solar. Water can be better utilised by inter-linking the rivers. 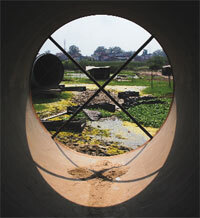 Slippage in rural water supply schemes in India is due to many reasons, including inadequate water resources, lack of commitment, poor measures for developing water resources, poor infrastructure and poor participation of stakeholders of the community (‘Economy of slippage’, March 1-15, 2011). People are interested in understanding where such schemes are falling short. If a community is made responsible, effective implementation of the schemes is guaranteed. People fighting the dam on the Godavari River need support. It is unnecessary to build dams on rivers to generate power. Gorlov turbines (environment-friendly turbines that are powered by ocean currents and tidal action) can easily replace dams. How this would be done depends on the details of the geography, but it needs to be looked into before the idea of building a dam pops up. The article “POSCO gets final clearance” (May 16-31, 2011) mentions “... the gram panchayats and resolutions should have been recorded in the format prescribed by the Odisha Gram Panchayat Rules of 1946”. The rules were notified in 1964, not 1946 as mentioned. We regret the error. I was working in a pesticide company in Bangladesh in 2000. While visiting a village I found endosulfan was being smuggled into the country from India in trucks in 100ml packets. On enquiring, I found the pesticide was being sold to fishers. They used it to poison the fish, facilitating easy harvest of fish. These fish were then sold in the open market in India.